High pump helix for high sealing security. It seals against right, left rotation of the shaft. Through special lip design of the side lip, it prevents dust from ouside. it perfectly seals the gear oil inside under the conditions of high rotational speed, and increases durability. Used in the auto transmission and transmission gearbox. 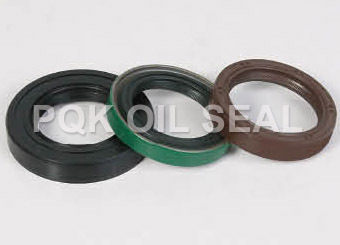 Zhejiang Shangyu Oil Seal Co.,Ltd is a leading China transmission oil seal manufacturer and supplier, our transmission oil seal factory can provide customoers cheap transmission oil seal products. Welcome to buy discount transmission oil seal or wholesale products from us.